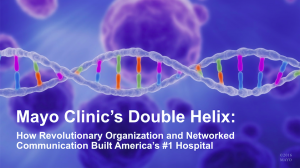 Networked Communication is one of two strands in the double helix that is Mayo Clinic's cultural DNA. In last week's post in this series I examined how internal communication networks at Mayo Clinic have been essential to its scaling to the 64,000-employee organization it is today. Whether they could afford these trips was never a question; they felt they had to afford them. But just as important as the Mayo brothers' travels was their practice of welcoming visiting physicians to observe them in surgery. 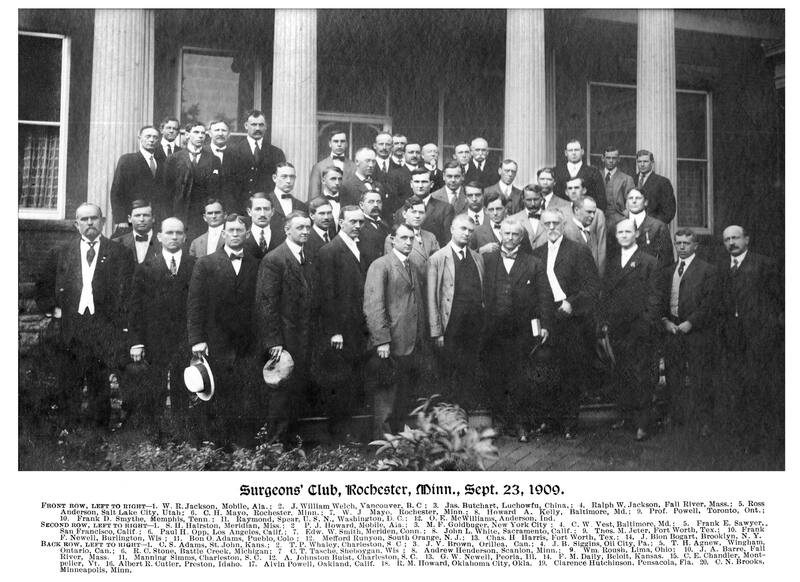 Those who traveled to Rochester to study under the Mayo brothers formed an informal society that became known as The Surgeons Club. These physicians paid a $1 registration per visit of whatever length, and the roster shows that nearly 3,400 traveled by train to Rochester between 1908 and 1918, including 100 physicians who splurged for the $5 lifetime membership. This external networked communication was important both because it helped to ensure that the Mayo brothers would always be practicing the most up-to-date surgical procedures and because it spread the word about their prowess among peers who would recommend them to their own patients. In creating what has become the Mayo Clinic Social Media Network in 2010, we were consciously following in the footsteps of our founders. At that time many of our colleagues at other institutions were having difficulty getting leadership buy-in for their social media initiatives. The fact that a well-respected organization like Mayo Clinic was using these platforms provided credibility and having the opportunity to join a Mayo-sponsored network to explore social applications together added to leaders' comfort. It was the social media equivalent of The Surgeons Club. We held annual health care social media conferences between 2010 and 2014 in Rochester in collaboration with Ragan Communications. In 2015 and 2016 we held domestic conferences on our Rochester campus and international conferences in Australia, first in Brisbane and then in Melbourne. This year's conference, which has been sold out since Nov. 13, will be next Monday and Tuesday on our Mayo Clinic campus in Scottsdale, Ariz. We'll be interacting in small groups and learning with about 125 colleagues from five countries as we hear four inspiring keynotes and six case studies. We also look forward to sharing some of our latest Mayo Clinic developments. If you're among those who'll be joining us, we look forward to seeing you on Monday. If not, we hope you'll follow along on Twitter and interact via the #MCSMN hashtag, and that you'll plan to join us next November on our Jacksonville, Fla. campus. We'll be announcing the dates and opening registration for that conference next week. 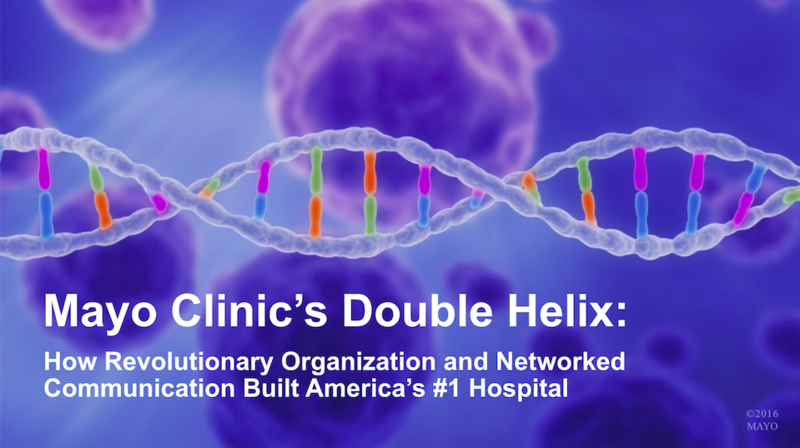 Networked Communication is one of two strands in the double helix that is Mayo Clinic's cultural DNA.